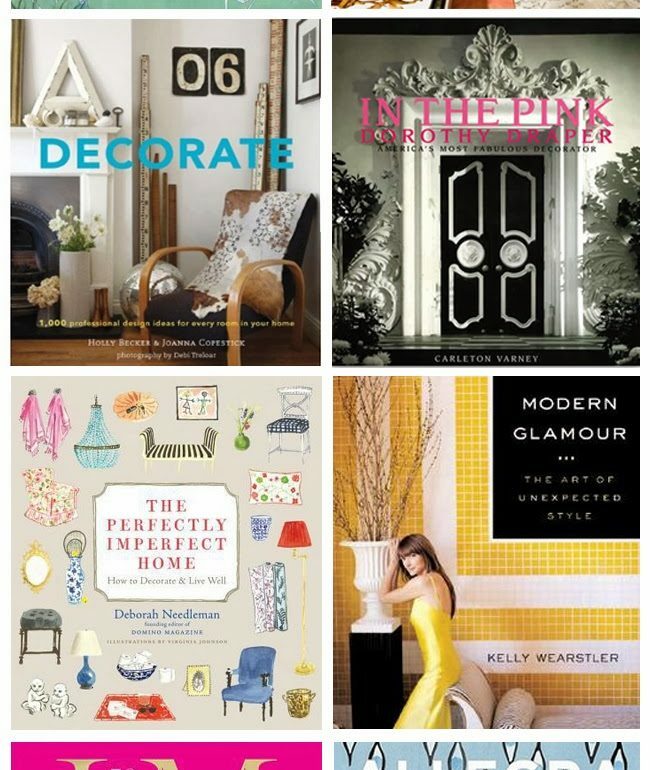 Recently I have been getting a lot of requests for my “Favorite Decor/Coffee Table books” by readers. Let’s face it, that is like choosing a favorite color for me. Impossible. They each have great little tid bits of wisdom & inspiration. But I would like to share a few that are on my shelf that I find myself going back to time & time again. The top of the tops would definitely be Domino & Black & White (and a bit in between) but the rest are amazing too! What are your favorites?! I am always looking to grow my design library. I love going back to books & being re-inspired each time. Love this list Kristin. Ive also been wanting Perfectly Imperfect. A few of my favs are I Brake For Yard Sales, The Big Book of Small Cool Spaces, Design Sponge At Home, and Good Bones, Great Pieces. The Domino book is definitely my favorite, such great inspiration in there! And now I need to go get Black & White! Domino, The Perfectly Imperfect Home, and Good Bones Great Pieces are my three favorites. I also have flipped through Young House Love, which has great DIY project ideas. Love Domino's book! I don't think it's considered a design book but Nate Berkus' book is full of inspiration. Thanks for the tips! I think I'll pick up Decorate and Perfectly Imperfect—I'm in the market for some new design books. Of course, Domino tops my list, too! I love, LOVE, LOVE Decorate! It is my 'go to'. I'll have to look at the Domino book. So Pretty! Love the chalkboard wall as well, I am obsessed with chalkboard paint! Such a great re-use of a bowl that probably would have sat there forever. I need to get better at re-imagining things! Good luck on the BHG contest too! Domino book is my all times favorite. I recently bought Adore Book from the australian online magazine Adore Home. It's great, but it's not very easy to order it. I sent the magazine an email and they told me a site that sells to Europe, but I don't know how you could order ir in the US. Ghost Chairs at a Say What Price! !